Flexifoam Manicure products have been developed for the profesional manicurist. 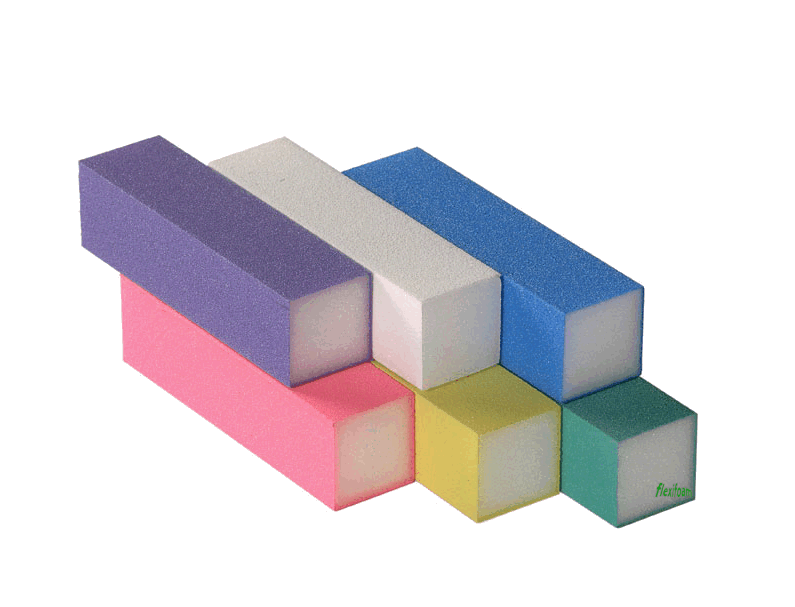 High quality abrasive grit is coated on superiour quality close cell foam in order to finish the artificial nails to perfection. The adhesive used in production of the manicure sticks guaranties a non-yellowing surface, even the white stick stays white. Our Manicure products are available bulk packed in carton boxes or shrink wrapped by 10 pieces. All other abrasive sticks are only available in grit AO #100/100.